The US Department of Justice has pretty much run ruff-shod on any online gaming person or company it has decided to go after with basically all defendants reaching plea bargain deals or settling out of court. That was until they arrested Australian payment processor Daniel Tzvetkoff, whose company has processed some $500 million in online poker transactions. Tzvetkoff entered a not guilty plea, and plans to fight the DOJ to the end claiming that poker is not gambling, and therefore is not illegal. 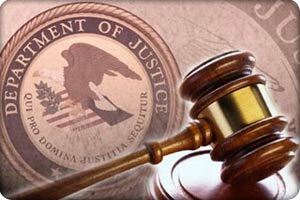 The DOJ has been very picky in prosecuting online gaming by going after the payment processors like Tzvetkoff –and previously Douglas Rennick who pleaded guilty to a lesser offense. The DOJ has also settled out of court with Party Poker, and their founder, for hundreds of millions of dollars, and has prosecuted BetonSports CEO David Carruthers. Tzvetkoff’s plan to fight against the DOJ may be a huge moment in the history of online poker, and may finally put to bed the gambling or game of skill argument once and for all. It’s likely that many pro-online gaming groups will jump to Tzvetkoff’s defense if it seems plausible he could win the case –on the other hand, if it looks like his strategy will fail you can be certain they will steer clear of this trial entirely. This entry was posted on Saturday, May 22nd, 2010 at 3:01 pm and is filed under Poker News. You can follow any responses to this entry through the RSS 2.0 feed. You can leave a response, or trackback from your own site.